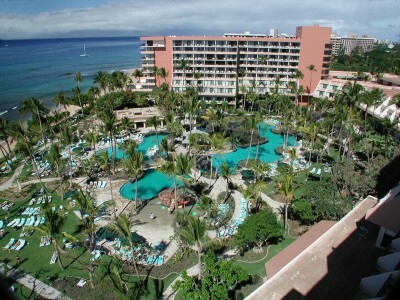 Another one of the hotels in Maui that is worth considering for your stay is the 4-star Marriott Maui Ocean Club. It's located in the spectacular Kaanapali Beach Resort and has incredible views of the neighbouring islands of Molokai and Lanai. The Marriott offers a wide variety of room types, from premium ocean view luxury suites to more basic rooms with garden views. 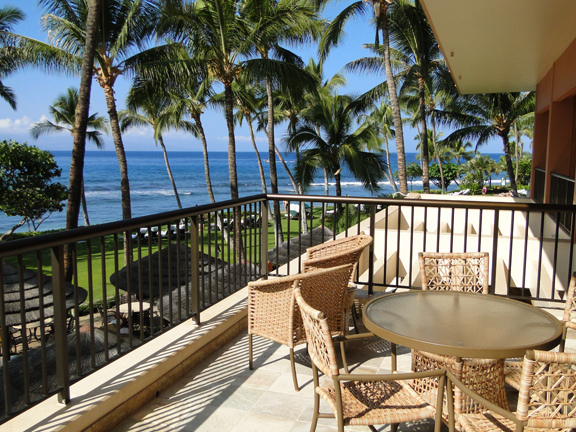 As always, there are certain things that I look for with hotels in Maui! For starters, I like to see great amenities for families. 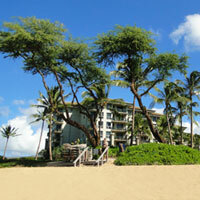 This Kaanapali Beach resort does not disappoint. 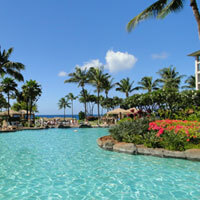 I particularly like the fact that they have not one, but THREE outdoor pools at the Marriott Maui Ocean Club. 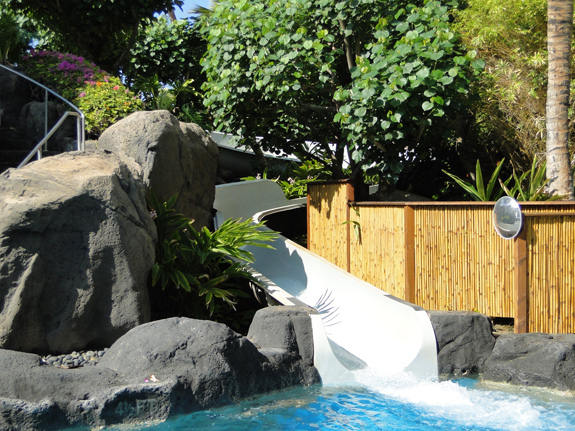 The crown jewel of the bunch is the 3.5 acre "Superpool" with its waterfalls, slides, and a shipwreck play area for kids. 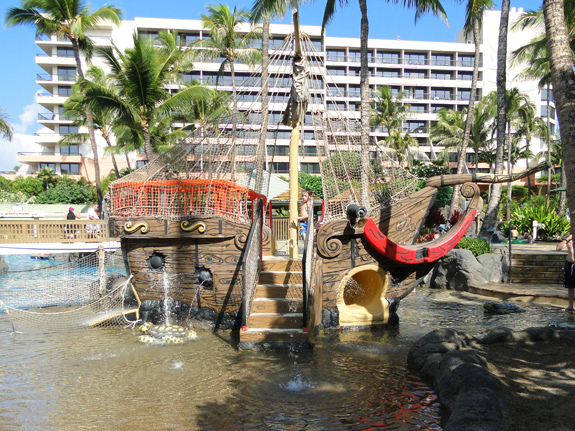 If the kids get tired of frolicking in the water, even more activities for kids can be found at the Marriott MAZE. When Mom and Dad need a break, the Marriott's babysitting services make it possible for them to have a "date night!" 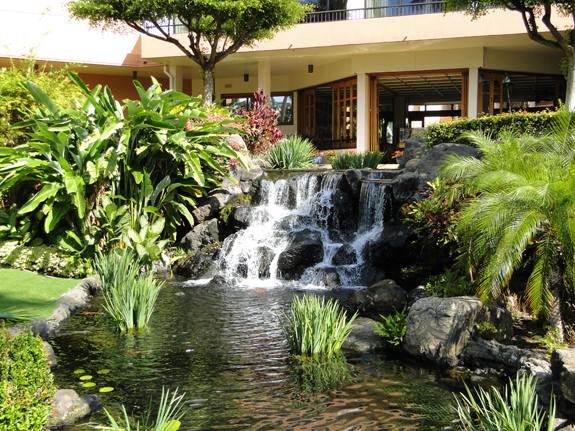 The Hale Mana Wellness Center offers a variety of pampering spa treatments to help you relax and unwind. 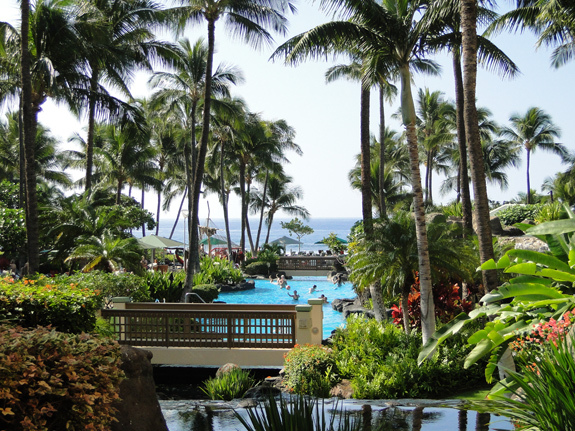 The Marriott's fitness center makes for a convenient way to keep up with your workouts while you vacation in Maui! The rooms come equipped with not just the standard mini-refrigerator that pretty much all hotels in Maui offer. 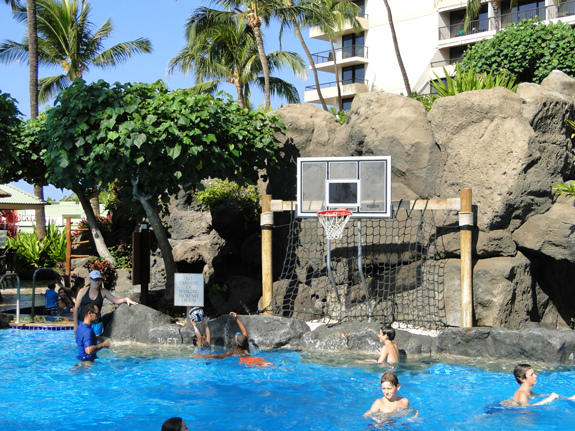 The Marriott Maui Ocean Club also provides a microwave, glassware, plates and supplies to clean them afterwards. And if you really want to go all out, you can book a larger suite which has a full kitchen! Having even just the small kitchenette will make it so much easier to have simple meals like breakfast and lunch in your room, rather than paying for more costly restaurant meals. And if you happen to get an especially large portion from one of those restaurant meals, you can bring it back to your room, and reheat the leftovers for a snack or small meal later on! 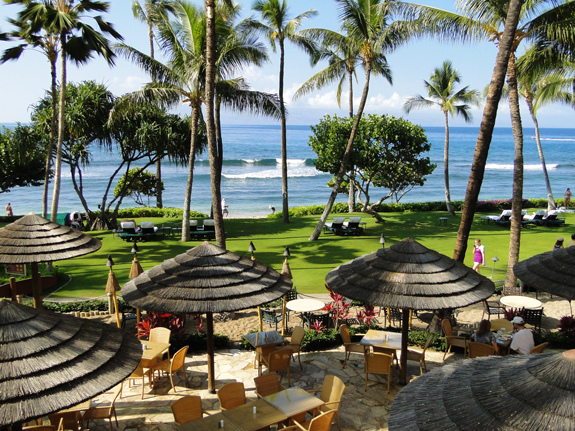 The Napili Tower Pool Bar offers convenient lunches from their deli, and drinks from their bar! The Main Pool also has a Pool Bar which serves lunch, dinner, and of course, drinks! I love the fact that they have poolside restaurants. Such convenient access to food and drink is a great amenity to have for those days that you want to spend lounging at the pool. For rates and reviews, click here! Or, use the search box on your left to search for your perfect place to stay at one of my favourite booking sites! 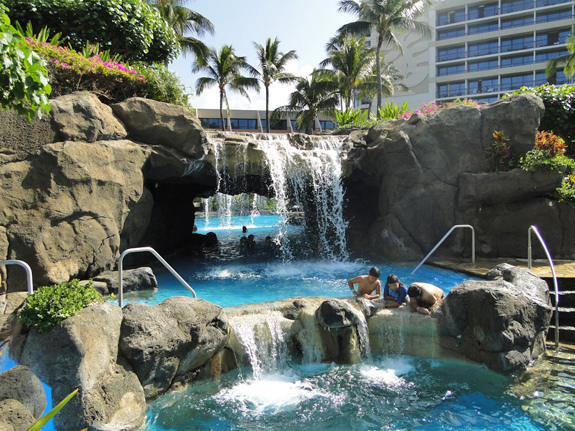 1) The luxurious Hyatt Regency Maui is another one of the hotels in Maui that you're practically guaranteed to adore! 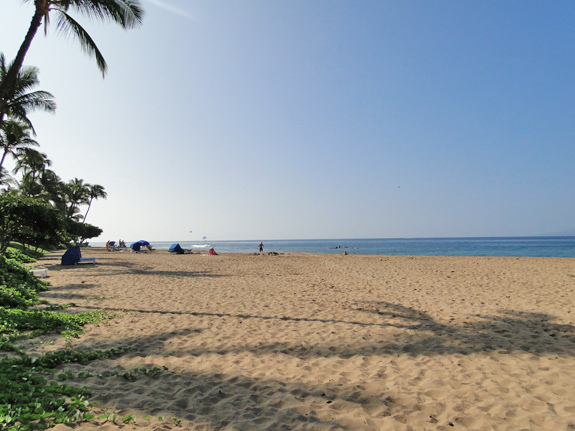 2) Read about our favourite stretch of beach at the Kaanapali Beach Resort! 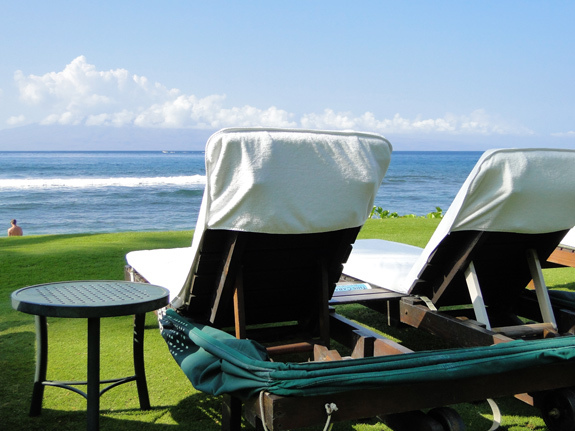 3) Find out more about what the Kaanapali, Maui area has to offer! 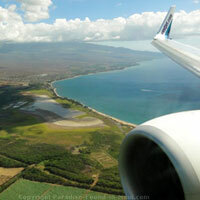 So What Did YOU Think About the Marriott Maui Ocean Club? What were your favourite things about it? Was there anything you did NOT like? Share your thoughts here! And if you have photos, we'd LOVE to see those too!